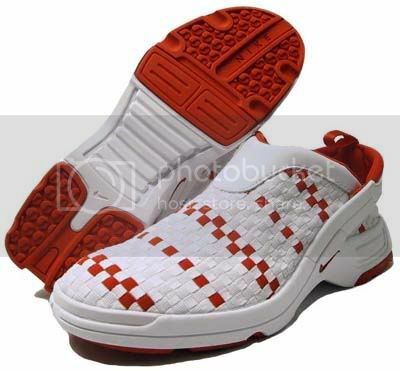 2 pair of nike shoes that I'd love to have someday..
5 more games to go..
My PC's down as you've guessed it. It's time... It took me a whole 1 hour to start up my PC. And i had to restart it 4 times, so that would be up to about 3+ hours to get it working. Worth the effort? Don't think so... Yea, this PC has been wit me for 6 years. Windows 98 still. hahahaha! A new PC won't arrive anytime soon as i'm down wit exams and Sis's down wit O levels... Yes Honey, i guess it is a blessing in disguise... i managed to do some studying on my off-school days. However, i miss chatting with you online, BF. And also wit my friends. School's been great. I'm so gonna miss school. Just now was the convocation for last's year's graduates and oh Boy, i can't wait for mine, sorta.. BF is having a blastin footie session wit his colleagues and dinner wit them.. Gonna meet him and his Mom for some Seoul Gardens lunch tomorrow... Food Again!! Yummy! My friend says i've gained weight! Oh No! ahhahah! But i love Food~! So does BF! So how? hehe! It's my Sister's 16th Birthday on Sunday and ya ya, she's like having her own chalet and sorts. So Big Already but still so small. hahahhaha! I'm a naughty sister. oh whaddelll.... gonna go sleep wit my Mom at the chalet now and keep an eye on her tonight. Ok, BF, I MISS YOU! C ya tomorro Darling! Mwahs. Will he win the Players' Player of the Year award at the PFA's annual awards dinner at the Grosvenor House Hotel on Sunday, April 25?? Its been quite busy over at the checkpoints these few weeks. Security is really tough on passengers nowadays. It's a good thing for sure but then the only bad thing about them are, they're inconsistent about their 100% check. That can really frustrate everyday users of the checkpoint. Something needs to be done you ciscos & icas. The latest disc up on my cd shelves. Its been a great two days(yesterday & today) for Gf & me. We spent real quality time. From window shopping,browsing around on the shelves of Borders to the tunes at HMV & not forgetting shezai's favourite past time that is eating!! haha Oh well, we really had a full meal at Pizza Hut today that it really make us so lazy to move around after that but to be honest the pizza is superb(reffering to the pizza with hotdog & cheese thingy)..Yummy..
Tohari Paijan?The New Paper? No No .. The talks of Sir Becks propaganda is simply too much. I mean eversince the Monica Lewinsky thingy,it seems that like everyone wants to make a report,sue etc. From the Clintons to the Tysons,Bryants & now Beckhams. It seems that these biz-ni-itches not only targets the looks & fames but also the wealths. Just imagine any normal person be it local or abroad,famous or not has all these scandalous relationships. Do you think the medias would even bother to find out all the details? I got a new webcam! Been down with some sort of rashes these 2 days. Couldn't sleep well..in fact the most number of hrs i slept for these 2 days..2hrs..the remaing hrs? scratching my way.. daym its very irritating..so annoying..its jus lik everythings not right for me..so i jus wake my mum up n she prepare some traditional medicine for me..it didnt work after the first nite..but after the second nite...it work a lil plus mum brought me to a clinic..ate the medicines after meal..applied creams..then Wala.....its mujarab..hmmm..insya'allah it'll heal fully soon...cos i need to get back to wrk.. anyways..Gf put the icing on the cake by visiting me after skool..bought me some of my fav fruits..we + mum talked & yak..then we played some pc games(she's really hooked up to SIMS) hmm..work on ur pc k?i'll give u the game ;D once again...thanks mum..thanks gf ';D love u both much! 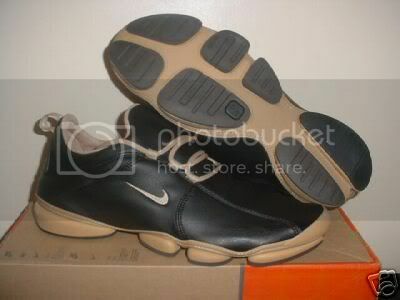 Hmm..I used to own these...dang..where its at!! Can't believe that the prices of these toys are way different from the past..